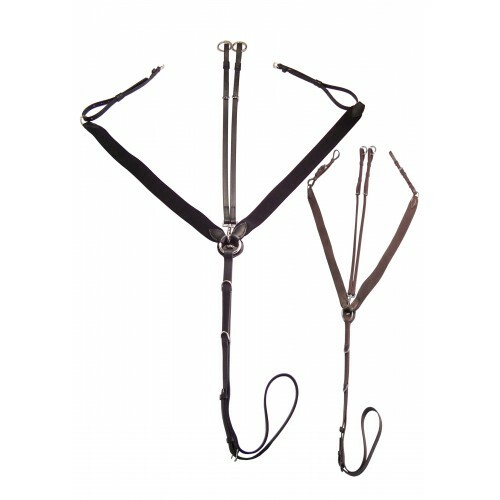 The Tekna® Elastic Breastplate gives your horse more freedom of movement with elastic shoulder straps. It also features an adjustable, removable running martingale attachment and stainless steel hardware. Made of QUIK-CLEAN material.